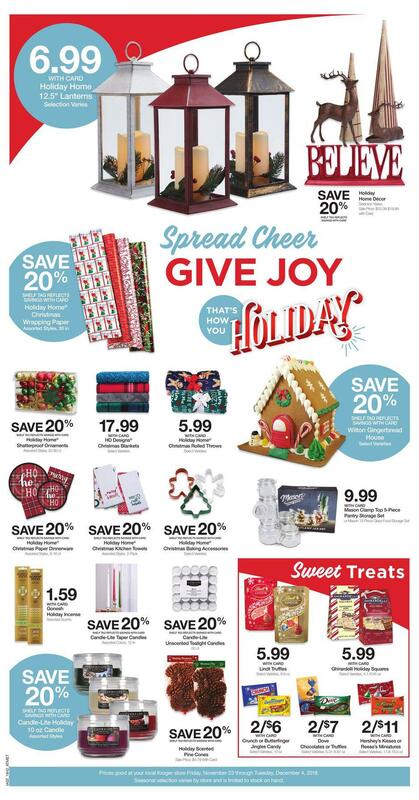 Kroger Black Friday 2018 Digital Deals. More Great Holiday Savings. You can download the Kroger exclusive digital coupons, redeemable for one day only, November 23 – November 25, 2017. Up to 50% OFF Home & Electronics. While supplies last. Product availability varies by store. Big Savings on Toys & Games. While supplies last. Product availability varies by store. 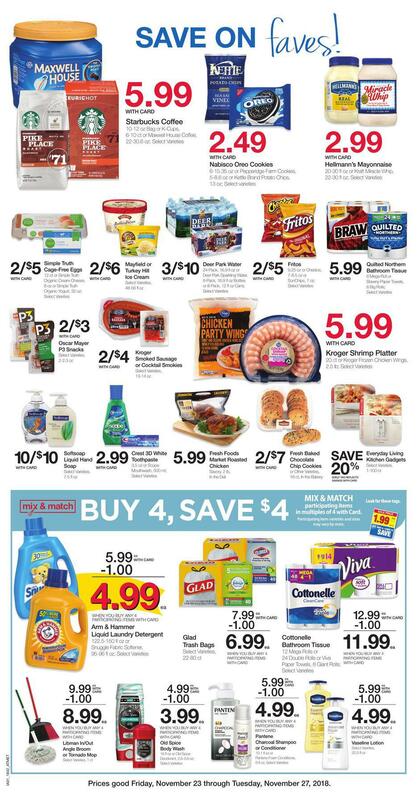 Find all coupons and specials from Kroger. Free Nature Valley Granola Bars with ClickList Pickup Purchase.